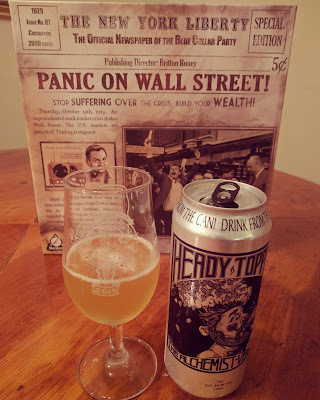 Panic on Wall Street meets Heady Topper! This right here ladies and gentleman is a deadly combo! 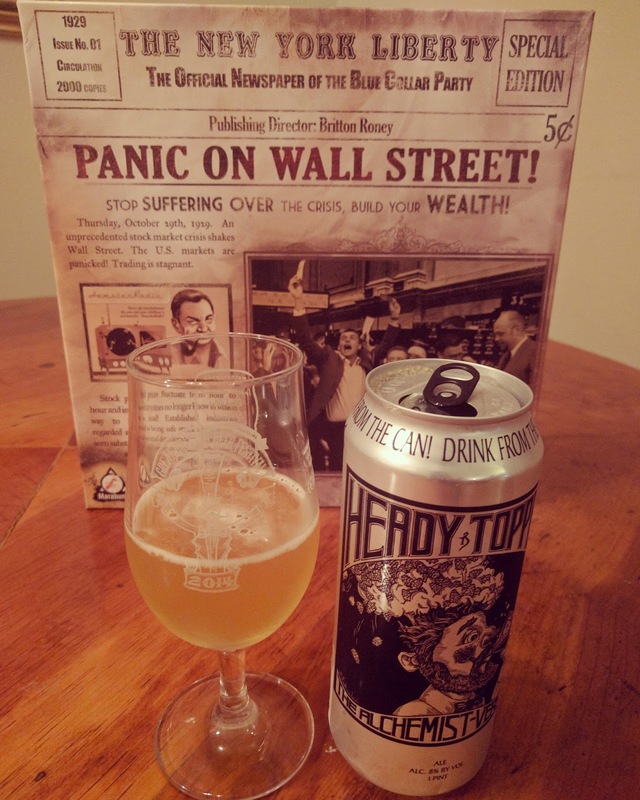 Heady Topper (#6 beer on Beer Advocate) meets Panic on Wall Street, which is a top 50 party game on BoardGameGeek. Both of these are incredibly scarce and hard to find, or they would be rated even higher! Heady Topper is a double IPA brewed by The Alchemist in Waterbury, VT. It is unfiltered and contains 8% ABV, with hints of citrus flavors. It is the #6 highest rated beer on Beer Advocate and has been described as "a complex web of genius". Sold only in limited production, it sells out within seconds or minutes of being released. 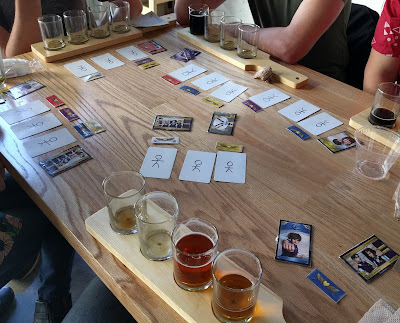 Take that, Pliny! In Panic on Wall Street! 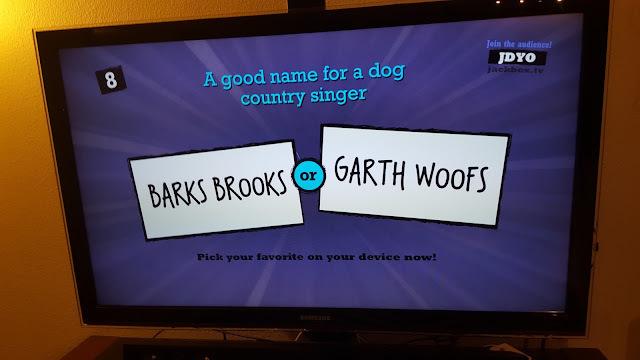 you take on the role of a freewheeling capitalist out to outmaneuver your competitors and earn your place as a great industrialist. Players are divided into managers and investors. Your goal is to earn more money than any other manager (if you are a manager) or more money than any other investor (if you are a investor) by the end of the fifth round. 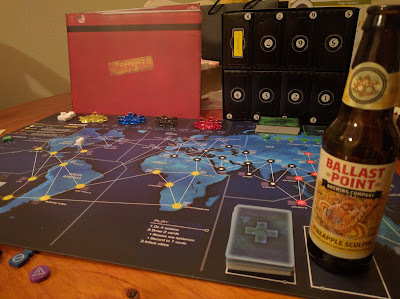 This game can play up to 11 players and is an epic amount of fun. However, because it's out of print, it's very hard to find and is currently selling for $195 on Amazon! When combined, Heady Topper & Panic on Wall Street make for the most epic of nights in the history of social gatherings. Please do yourself the honor, search high and low (or pay hundreds of dollars), and make your dream a reality today.